Ocean acidification is a term used to describe the changes in the chemistry of the world's seas, primarily as a result of burning fossil fuels. Marine scientists are concerned that changes to the oceans' pH levels will have severe consequences for marine wildlife and ecosystems. The ocean has helped slow global warming by absorbing much of the excess heat and heat-trapping carbon dioxide that has been going into the atmosphere since the start of the Industrial Revolution.It's changing the chemistry of seawater, making it more acidic and otherwise inhospitable, threatening many important marine organisms. Fundamental changes in seawater chemistry are occurring throughout the world's oceans. Since the beginning of the industrial revolution, the release of carbon dioxide (CO2) from humankind's industrial and agricultural activities has increased the amount of CO2 in the atmosphere. The ocean absorbs about a quarter of the CO2 we release into the atmosphere every year, so as atmospheric CO2 levels increase, so do the levels in the ocean. Initially, many scientists focused on the benefits of the ocean removing this greenhouse gas from the atmosphere. However, decades of ocean observations now show that there is also a downside — the CO2 absorbed by the ocean is changing the chemistry of the seawater, a process called Ocean Acidification. 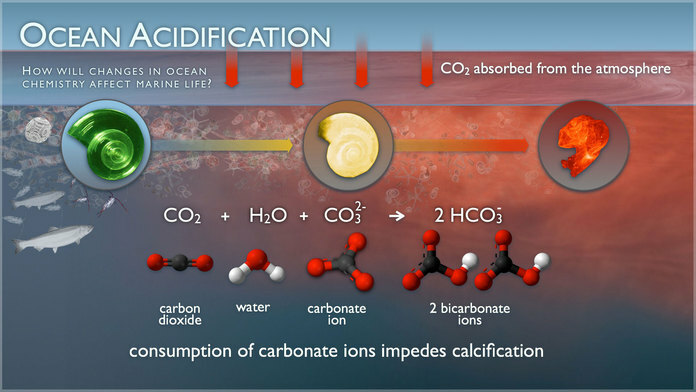 When carbon dioxide (CO2) is absorbed by seawater, chemical reactions occur that reduce seawater pH,carbonate ion concentration, and saturation states of biologically important calcium carbonate minerals. These chemical reactions are termed "ocean acidification" or "OA" for short. Calcium carbonate minerals are the building blocks for the skeletons and shells of many marine organisms. In areas where most life now congregates in the ocean, the seawater is supersaturated with respect to calcium carbonate minerals. This means there are abundant building blocks for calcifying organisms to build their skeletons and shells. However, continued ocean acidification is causing many parts of the ocean to become undersaturated with these minerals, which is likely to affect the ability of some organisms to produce and maintain their shells. Since the beginning of the Industrial Revolution, the pH of surface ocean waters has fallen by 0.1 pH units. Since the pH scale, like the Richter scale, is logarithmic, this change represents approximately a 30 percent increase in acidity. Future predictions indicate that the oceans will continue to absorb carbon dioxide and become even more acidic. Estimates of future carbon dioxide levels, based on business as usual emission scenarios, indicate that by the end of this century the surface waters of the ocean could be nearly 150 percent more acidic, resulting in a pH that the oceans haven’t experienced for more than 20 million years. When CO2 dissolves in seawater, it forms carbonic acid, which releases hydrogen ions into solution. Acidity is a measure of the hydrogen ion concentration in the water, where an increase in hydrogen leads to an increase in acidity (and a decrease in the pH scale used to quantify acidity). These hydrogen ions then combine with carbonate ions in the water to form bicarbonate. Carbonate ions are the basic building blocks for the shells of many marine organisms. Thus the formation of bicarbonate through this chemical reaction removes carbonate ions from the water, making them less available for use by organisms. The combination of increased acidity and decreased carbonate concentration has implications for many functions of marine organisms, many of which we do not yet fully understand. The increase in the hydrogen ion concentration causes an increase in acidity, since acidity is defined by the pH scale, where pH = -log [H+] (so as hydrogen increases, the pH decreases). This log scale means that for every unit decrease on the pH scale, the hydrogen ion concentration has increased 10-fold. This removes carbonate ions from the water, making it more difficult for organisms to form the CaCO3 they need for their shells. The oceans are not, in fact, acidic, but slightly basic. Acidity is measured using the pH scale, where 7.0 is defined as neutral, with higher levels called "basic" and lower levels called "acidic". Historical global mean seawater values are approximately 8.16 on this scale, making them slightly basic. To put this in perspective, pure water has a pH of 7.0 (neutral), whereas household bleach has a pH of 12 (highly basic) and battery acid has a pH of zero (highly acidic). However, even a small change in pH may lead to large changes in ocean chemistry and ecosystem functioning. Over the past 300 million years, global mean ocean pH values have probably never been more than 0.6 units lower than today (6). Ocean ecosystems have thus evolved over time in a very stable pH environment, and it is unknown if they can adapt to such large and rapid changes. Ocean acidification is expected to impact ocean species to varying degrees. Photosynthetic algae and seagrasses may benefit from higher CO2 conditions in the ocean, as they require CO2 to live just like plants on land. On the other hand, studies have shown that a more acidic environment has a dramatic effect on some calcifying species, including oysters, clams, sea urchins, shallow water corals, deep sea corals, and calcareous plankton. When shelled organisms are at risk, the entire food web may also be at risk. Today, more than a billion people worldwide rely on food from the ocean as their primary source of protein. 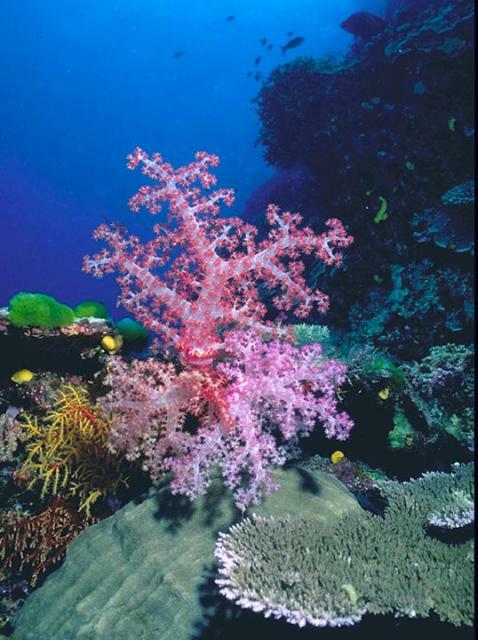 Evidence suggests that the calcification rates of these corals will be reduced by up to 60%. Weaker structures are likely to be prone to greater degrees of erosion from storms and heavy wave action. 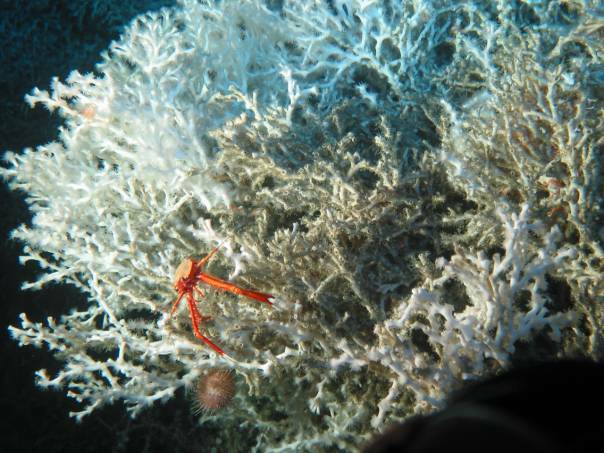 Found throughout the world's oceans, cold-water corals can provide vital habitat for several commercially important fish species. Forecasts suggest that about 70% of the corals could find themselves under threat by the end of the century. Several groups of plankton produce calcium carbonate, and could see their distribution curtailed by ocean acidification. 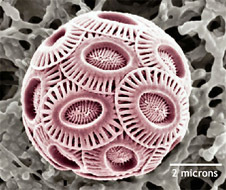 Some species, such as coccolithophores (single-celled algae), have shown a marked decrease in calcification rates when exposed to CO2-rich water. One of the most abundant forms of marine phytoplankton, coccolithophores, are an important part of the carbon cycle in the ocean, taking carbon from the water and turning it into hard hubcap-like disks that eventually fall to the seafloor. Ocean acidification may threaten the tiny coccolithophore by reducing the amount of carbonate ion in seawater that it uses to make its body armor. On the other hand, acidification appears to benefit at least some coccolithophore species by increasing the quantity of other forms of carbon that the microscopic plant uses in photosynthesis. Some mollusks, including mussels and oysters, are expected to be adversely affected by ocean acidification. As with other creatures, the main impact is expected to be thin or deformed shells. Juveniles have been shown to be more susceptible than adults to limited carbonate ions, which could have long-term consequences as far as viable populations are concerned. But not all habitats suffer as a result of ocean acidification. 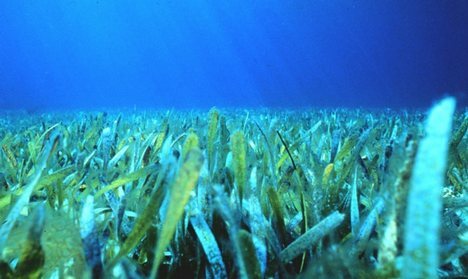 For example, sea grasses grow better in CO2-rich waters. The grass offers a valuable feeding and spawning site for a variety of species, including a number of commercially valuable fish.